When you've invested your time, money and energy in a property, you want to make sure that every aspect of it is appealing to visitors. Your home is an especially important place to maintain properly since the environment in which you live says a ...read more. Getting your home (or business) ready to receive guests can be a stressful experience at the best of times, but when a major feature of your property is in disrepair it can be especially hard to handle. Take your carpets, for instance. Many ...read more. Carpeting offers a kind of comfort and luxury that just can't be found in hardwood or linoleum. There's something inviting and relaxing about a fresh and clean carpet, no matter where it is. It could be covering the floors of your home ...read more. Beaumont Hill is many things, but above practically anything else it's a pleasant place to live. The quality of life in Beaumont Hill is aided by the area's picturesque neighbourhoods, with many attractive housing estates complementing a few ...read more. Are your carpets in Dural beginning to look drab and dirty? Maybe they've collected quite a few stains from the kids, or your pets have tracked in some dirt. There are many reasons you might be looking for carpet cleaning services in Dural ...read more. 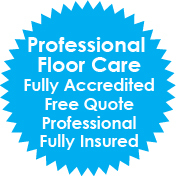 Are you looking for reliable carpet cleaning experts in The Ponds? If so, you've come to the right place. Dawson Carpet Cleaning has been in business for seven years and has a strong reputation of prompt and excellent customer service with a 100% ...read more. Searching for Upholstery Cleaning Services in Castle Hill? Is your furniture starting to appear much older than it is? Has it suffered at the hands of your children or grandchildren? Maybe your teenagers like to eat while watching television but aren't very careful. Don't throw that old furniture out ...read more. Your lounge is at the heart of your home, bringing the whole family together to enjoy a night of movies or for playing games. However, with all that use, it's likely that your lounge has also picked up a few tough stains over the years ...read more. It's no secret that getting nice furniture can be expensive. When you buy a lounge suite for your living room or den, you're likely considering it to be a long-term investment and hope that it will last you for years. Yet accidents do happen ...read more. You try to do your best to keep your bathroom looking beautiful, but sometimes a scrubbing brush and elbow grease just aren't enough. While regular cleanings can help keep your tile looking better for longer, this can be a laborious task and ...read more.